Phones cameras are one of the most convenient things in the world. They can’t replace professional cameras, but they sure can be handy when you need to capture something quickly. 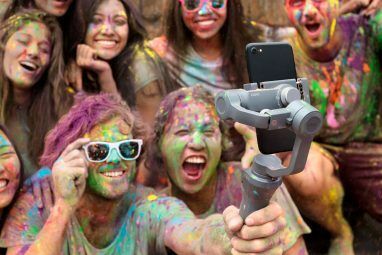 Your phone is always with you, and with today’s technology, the camera that comes with it is probably pretty darn good. Having said that, I’m totally flustered with the Instagram issue. Yes, Instagram is great, Instagram is cool, but why did it become so popular when there are much better apps around? 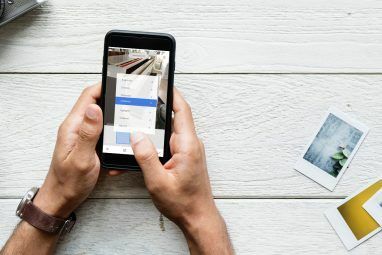 The answer to that probably lies with Instagram’s own community, and not in the app itself, but when it comes to apps, there are many awesome Instagram alternatives that can get you much better results. A while ago, I investigated 6 such alternatives Save for a Rainy Day: The Top 6 Instagram Alternatives You Really Should Try [Android & iOS] Save for a Rainy Day: The Top 6 Instagram Alternatives You Really Should Try [Android & iOS] Instagram has been in the news non-stop these past two weeks. It started with the launch of its much anticipated Android app, and continued with the subsequent acquisition by Facebook. Both moves created heated reactions... Read More , and today I’m going to tell you about another one. It’s called FxCamera. 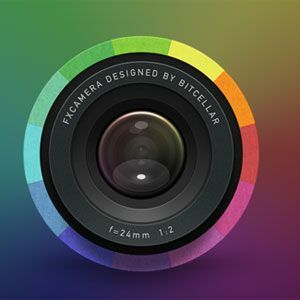 Unlike most camera apps that come with one set of filters, FxCamera is divided into six different categories: Instant, Toycam, Symmetric, Fisheye, Poster and Normal Plus. We’ll get into each of these sets later on, but before we do that, let’s take a look at what it’s basically like to take pictures with FxCamera. The most notable thing, at least for me, is that fact that you have to tap twice to start taking photos; once to launch the app, and again to choose a filter set. That being said, you can very quickly choose the Instant option, which also saves your favorite settings for you, so if you have a favorite filter, ratio and frame setting, these will be applied immediately. After choosing a filter set, FxCamera is pretty self-explanatory. You can choose between two aspect ratios (4:3 and square) and also focus the image without taking the actual photo. Another nice touch is the timer, which lets you either take a photo immediately, or after 5 or 10 seconds. OK, OK, I Know You Want It: Filters! …or go for much crazier things which you can find in the Fisheye or Poster sets. Each set includes many more options than the ones you can see here, of course, and you can get pretty creative with everything this app has to offer. But Fisheye and Poster are boring compared to the absolute coolest filter set: Symmetrical. At first, I wasn’t sure what it was all about, but after taking a photo or two, I discovered the hidden possibilities. When you take a photo with Symmetrical, you get to align your object against two straight lines. This is not a must, but if you do it, the results will be that much cooler. After snapping the photo, FxCamera will create a symmetrical version according to the division lines, letting choose exactly which side gets duplicated and how. I know, it’s not like this has never been done before, but I was very impressed with the simplicity and smoothness with which it’s done here. If you’re really up for some games, try taking abstract photos using this filter set. You’d be surprised at the things you can get! What good are great photos if you don’t get to share them? In this, Instagram definitely takes all its competitors, but there are other ways than Instagram to share photos. FxCamera makes almost every possible option available, and the only downside is that sharing is a little too available. The beautiful sharing screen you see above will pop up every time you save a photo with FxCamera. I tried in vain to stop this from happening, and at the end just had to accept it. This gears FxCamera at photo-sharing more than picture-taking, but I guess it’s not an entirely illogical direction to take. As you can see, you can easily share your photos through Twitter and Facebook, and also multiple other apps you have installed such as WhatsApp (and other messaging apps), email apps, Dropbox, Bluetooth, etc. You can also add a short caption to every photo. FxCamera [No Longer Available] is better than Instagram. I might be attacked in the middle of the night for saying this, but it simply is. There are more filters and effects to play with, the interface is nicer and easier to use, and the overall experience and results you can get are superior. The only thing FxCamera lacks to be really successful is probably a built-in option to share photos on Instagram (but you can definitely do that yourself if you wish). Have you had the chance to try FxCamera? What do you think of it? Are there other camera apps out there that are simply better than Instagram? Share everything in the comments. 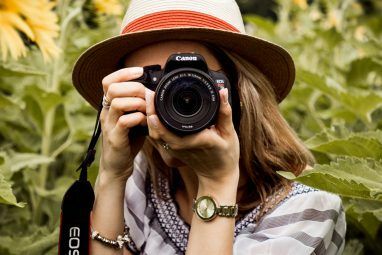 Explore more about: Image Editor, Instagram, Photo Sharing, Photography, Smartphone Photography. Both very good apps indeed. Thanks! I have been using this app for many months. The pro version was offered up free in the Amazon app store awhile back. It beats Instagram hands down with function and quality results. It is not a problem to set up a transfer to Instagram if you must. I use an app called tasker that I set up to 1-click to transfer to Instagram if needed. Doing this with Tasker is pretty brilliant, thanks Bill! I've used it for about ½ a year, and I thinh it it amazing what you can do with this App. I tried it on my Samsung tab and I like it! giving it a go in 5....4....3...2...1.